The author Barbara Pymm suffered many bereavements from an early age, starting with the death of her mother when aged eight, which affected her developing personality. The multiple bereavements which so deeply hurt her have also been the method by which God has chosen to work change and redemption into her. 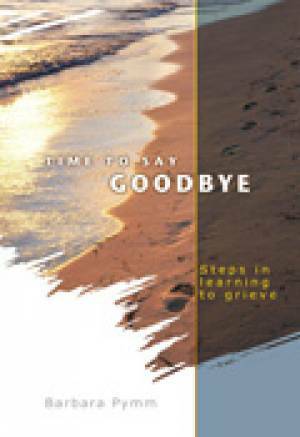 Time To Say Goodbye Paperback Book by Barbara Pymm was published by Roper Penberthy in May 2012 and is our 24331st best seller. The ISBN for Time To Say Goodbye Paperback Book is 9781903905739. Be the first to review Time To Say Goodbye Paperback Book! Got a question? No problem! Just click here to ask us about Time To Say Goodbye Paperback Book.